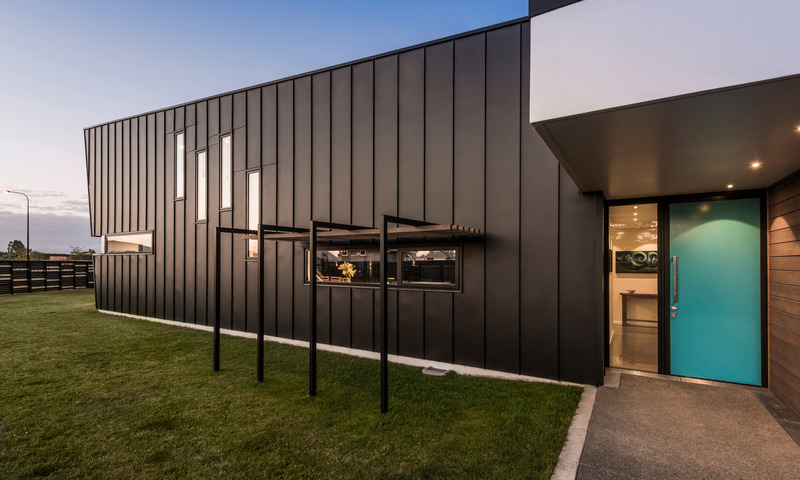 When a 1600m2 site in West Melton was purchased the owners were looking to build their “forever” home- something that would capture the magnificence of the rural vista to the mountains in contrast to their hectic urban lifestyle. 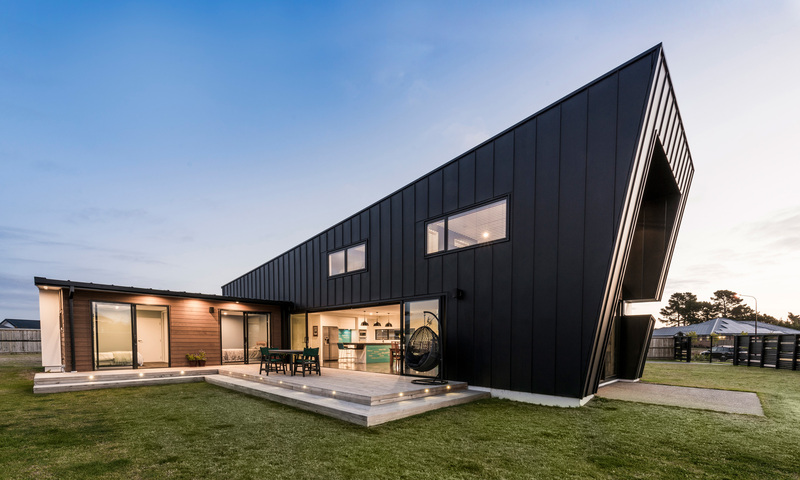 This became the challenge for Rangiora architectural designer, Jason Higham (Higham Architecture), to create a home with long term appeal and Lifemark standards. 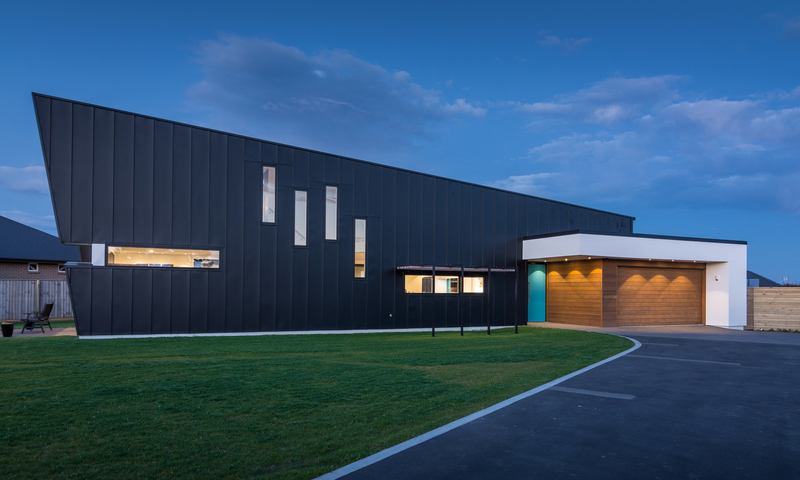 West Melton is a small but steadily growing rural town, 20km west of Christchurch which has attracted new sub-divisions along with group housing activity. However, Janet and Bernie Cummings’ express wish was for a home that was different and unique, one that would stand out but linked well with the rural environment of the town. It was to provide adaptability for their future needs – a haven for the rest of their lives. 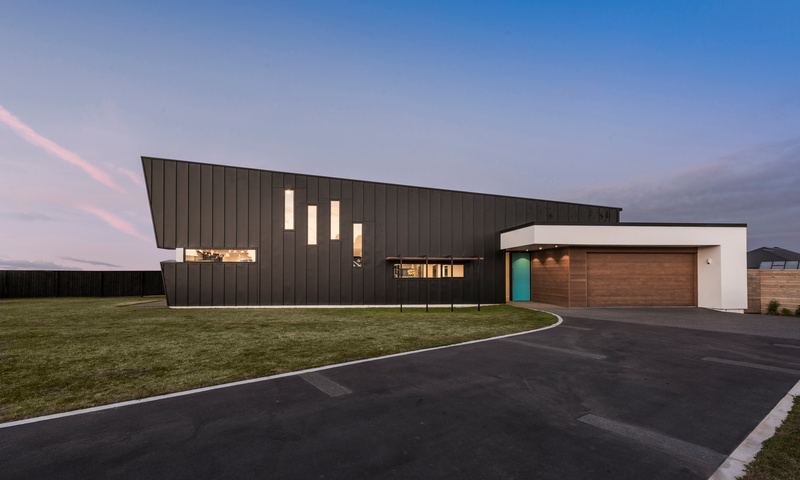 The immediate impact of this home is its form and orientation on the site, set well back from the street unlike many of the street- facing homes. It is angled to benefit from best sun, offers privacy and outstanding views to the mountains. The sparseness of glazing on the public face of the home is not just about privacy, it is also the southern face and therefore more thermally efficient to reduce glazing on that side. Contrast this to the northern face with large expanses of glass, much of which slides away, thereby blurring the boundaries between inside and outside. There is level access off all rooms to accentuate this and to lock in the sun-bathed private face of the home to meet the owners’ much-desired oasis.